If you are looking for new furniture for your home, you need to make sure that you visit the furniture stores Columbus Ohio shoppers like best, including Amish Originals Furniture Co. in Westerville. Here you will find some of the finest furniture in the country. Each piece is lovingly hand-crafted by the Amish and built with only the finest materials, including beautiful hardwoods. When you want furniture that is going to stand the test of time and fit in with any decorating style, Amish furniture is really the best way to go. Why would you want to get anything else, especially if you want something that is going to be well built and still look great many years from now? Your bedroom is not just a place to sleep. It can be a great place to relax and just get away from the rest of the noise and activity in the house, even if it is just for a few short minutes. Your bedroom should reflect your own personal style, and it should be a room that is so comfortable that you want to be in it all the time. 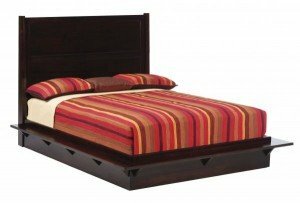 You can get just the right bedroom furniture at one of the furniture stores Columbus Ohio shoppers love the most, Amish Originals. Find beautiful bedroom sets, occasional pieces, decorative items and a whole lot more, all made with the loving care that can only be found in Amish furniture makers. When you have comfortable, well-built Amish furniture in your family room, you will find that your family wants to spend a lot of time there. This means that you can have the quality family time you want, and no one is going to say “aaawww Mom” when you want to spend time with them. When you shop at Amish Originals Furniture Co., one of the furniture stores Columbus Ohio residents trust the most, you will find comfortable sofas and chairs, coffee and end tables, and of course, awesome entertainment centers. While you can’t actually purchase anything from the website, you can go online to see all of the beautiful furniture that is available at Amish Originals, one of the furniture stores Columbus Ohio shoppers go to first for the best deals on quality furniture. While you are online, take a look at the great deals on the clearance page. These deals change all the time, so you should check back regularly if you don’t see what you’re looking for right away. You never know what is going to go on sale, or when. The next time you need to get furniture for your home, go to one of the furniture stores Columbus Ohio shoppers go to for many of their home decorating needs, Amish Originals Furniture Co. You can find furniture for every room in your home, and choose to pick it up yourself or you can have it delivered if that is more convenient.